Hallmark's cookie expert Bernard Shondell shares his recipe for a sugar cookie dough that delivers on taste as well as versatility. 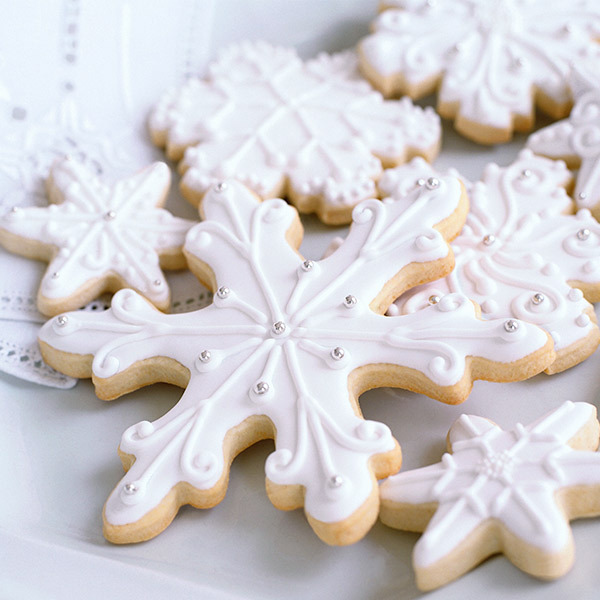 Discover what special ingredients go into his sugar cookies (like cream cheese) and get great baking tips that increase the odds for producing golden delicious masterpieces each time you open the oven door. Cream together butter, shortening, sugar and cream cheese. Add egg and both extracts to butter mixture until well incorporated. Combine last 3 ingredients, and then slowly add them to the wet mixture. Mix until well incorporated. Chill dough at least 1 hour, or overnight. Bake at 350° for 8 to 12 minutes. Remove at first indication of edges turning brown. Meringue powder is available at cake decorating stores and hobby and craft stores. But you can substitute fresh egg whites if you like—just use equal amounts of egg whites and water.